Urinary tract infections, lower respiratory tract infections, skin and soft tissue infections, bone and joint infections, G.I. 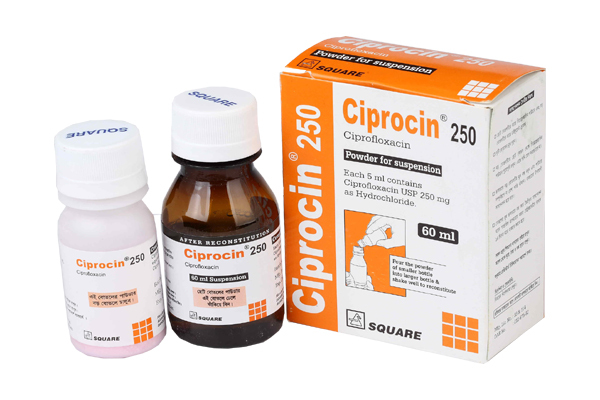 infections, uncomplicated gonorrhoea, Ciprocin® 750 tablet is specially indicated for the treatment of pseudomonal infections of lower respiratory tract; severe infections particularly due to pseudomonas, staphylococcus and streptococci. 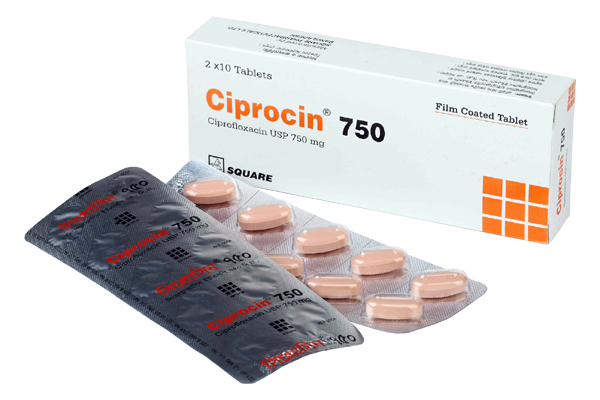 Ciprocin® 750 is also indicated in surgical prophylaxis. Urinary Tract Infection : Acute Uncomplicated-100 mg or 250 mg b.i.d. 3 Days, Mild/Moderate and Severe/Complicated-500 mg b.i.d. 7 to 14 Days or XR 1 gm once daily for 7 to 14 days. Severe/Complicated 750 mg twice daily 7 to 14 Days. Lower Respiratory Tract Infection : Mild/Moderate 500 mg b.i.d. or XR 1 gm once daily 7 to 14 Days, Severe/Complicated 750 mg b.i.d 7 to 14 Days. Acute Sinusitis : Mild/Moderate 500 mg b.i.d. or XR 1 gm once daily 10 Days. Infectious Diarrhea : Mild/Moderate/Severe 500 mg b.i.d. or XR 1 gm once daily 5 to 7 Days. Typhoid Fever : Mild/Moderate 500 mg b.i.d. or XR 1 gm once daily 10 Days. Pediatric Dosage: 10 mg/kg to 20 mg/kg b.i.d. (maximum 750 mg per dose) for 10 to 21 days. 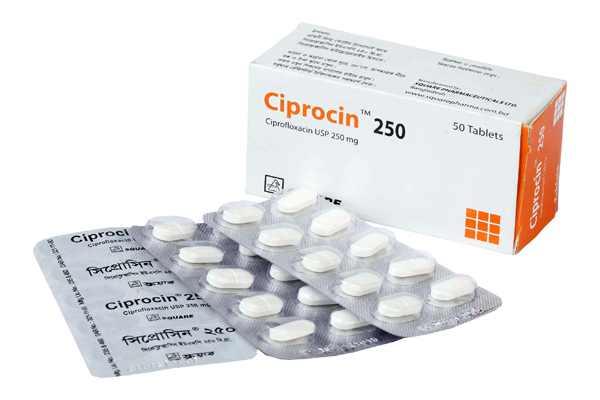 Ciprocin™ 250 : Box containing 50 tablets in blister pack. 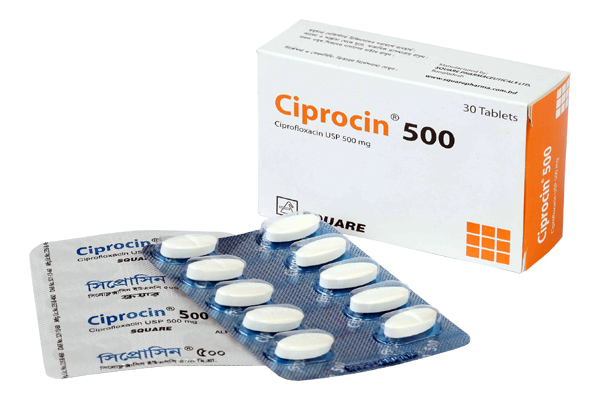 Ciprocin™ 500 : Box containing 30 tablets in AJu-AJu blister pack. Ciprocin™ 750: Box containing 20 tablets in blister pack. Ciprocin™ 250 Powder for suspension: Box containing two bottles, one HDPE bottle for active ingredient and another PET bottle for diluent.